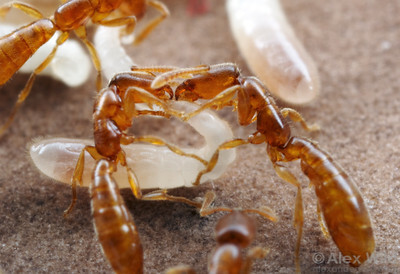 is an unusual amblyoponine genus known only from Madagascar, where it was first discovered in the 1990s. 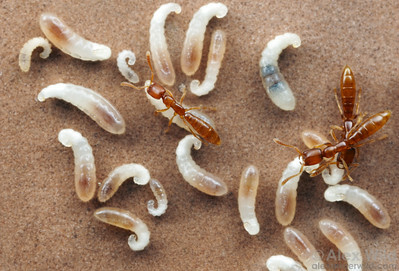 The genus contains several poorly-known species of small, blind subterranean ants; all are likely predators of soil-dwelling arthropods. 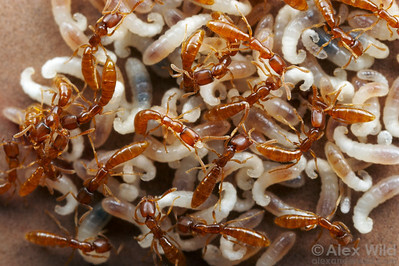 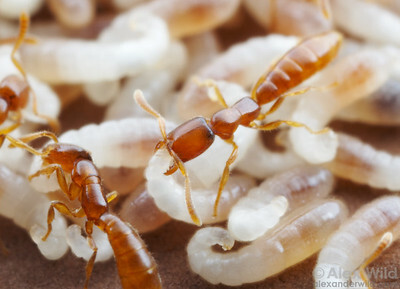 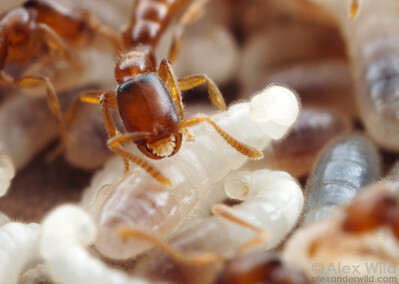 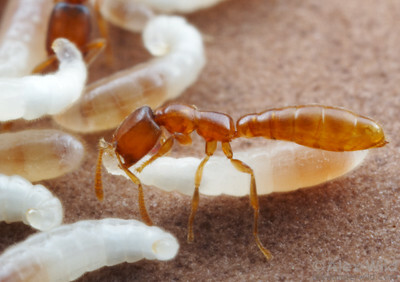 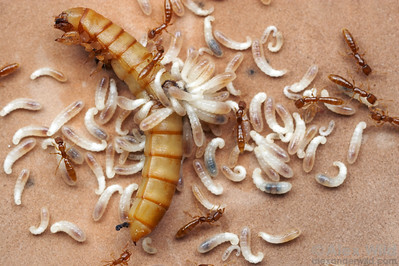 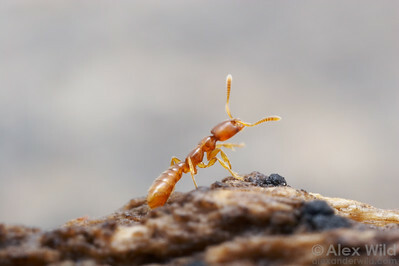 Adetomyrma is sometimes called "the dracula ant" for its habit of feeding on the hemolymph of its own larvae, although this trait is also shared among the other amblyoponines.